How Much Time Do You Have in Scotland? It is always a problem to make a decision when you have so many choices! 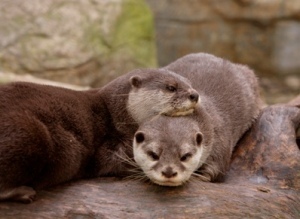 When visiting Scotland the biggest hurdle to overcome, if you don't have too much time, is to decide where to go first? Just how much can the visitor cover during a short break..or if you have one month..or something in between? Where to go, what to see? 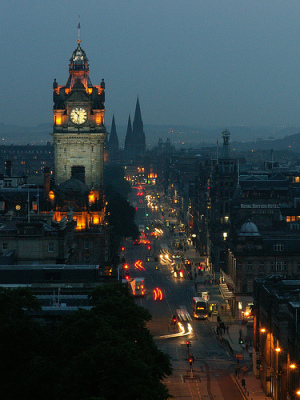 Often the destination of choice on a limited time budget is Edinburgh. Edinburgh is fairly compact and has so much of interest packed into it, such as Holyrood Palace, Edinburgh Castle, The Royal Botanic Gardens, the National Gallery and much more which makes it the ideal city to start with. 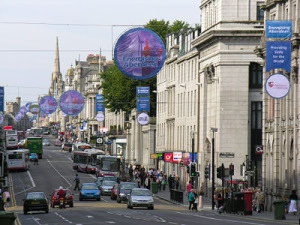 The famous shopping street, Princes Street, with its scenic location and international stores overlooking the castle, the Scott Monument and the surrounding gardens is a delightful introduction to Scotland. Although Edinburgh is not a typical Scottish city, and very few capital cities are typical of the rest of the country, it is nevertheless steeped in history and first-time visitors will find much to occupy themselves with on a short visit. In order to see as much as possible of this remarkable country, it is necessary to plan, and some suggestions for a "do-able" itinerary are included here to help you make the most of your visit. Here are some flexible itineraries for (around) three days, one week, two weeks, and one month. Here you will find some unforgettable journeys to make and places to see and experience whether your visit is business, a holiday, a honeymoon or a visit to family and friends. Three days gives you time to see some of Edinburgh and visit the historic town of St. Andrews, St. Andrews of course being the Home of Golf and the University of St. Andrews where Prince William recently attended. It is also where the famous Royal and Ancient Golf Club is located. St. Andrews is close to Edinburgh, by rail, car or bus, and will only take a short time. (about one hour by train from Waverley Station). The journey will also give you the opportunity to see the surrounding countryside. Trains run every hour during the week and every two hours on Sunday and the buses run just as regularly, only your journey will take a little longer. The rail and road bridges over the Forth provide spectacular views and the trip is well worth it. 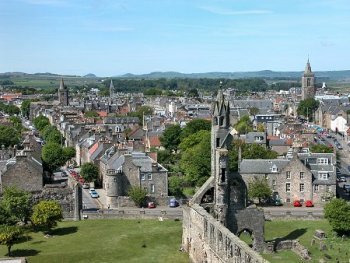 Most of St. Andrews is accessible on foot, so it is quite possible, if a little walking is all right with you, to get off at the station and either take a local bus or a cab, or walk to your destination. There are ample cafes, restaurants and hotels dotted around, as St. Andrews is a fairly small town, with two sandy beaches. Contact First ScotRail for details of ticket prices and schedules. One week should give you enough time to cover some more highlights in addition to Edinburgh and St. Andrews. 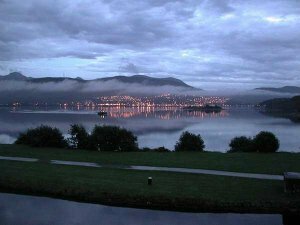 On a one-week trip you could also include the city of Glasgow, Oban, Glencoe and Fort William (where a great deal of filming was done for the "Harry Potter" movies). Glasgow is a sophisticated city, although its personality is distinctly different from that of Edinburgh. George Square is an ideal spot to begin your tour of Glasgow, and the Tourist Information Centre can give you guidebooks and maps to find the highlights of the city. Besides the magnificent cathedral, (dating from 15th century) located in the oldest part of the city, make time if possible to go and see St. Mungo's Museum of Religious Life and Art which is nearby. The admission is free, and the museum has three splendid galleries covering religious art, and one in particular of religious Scottish art. 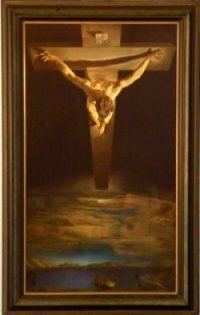 The collection includes Salvador Dali's "Christ of St. John of the Cross". The museum also houses Britain's only Zen Garden. The University is located in Glasgow's West End where you will also find many other museums and galleries as well as Kelvingrove Park, often alive with students. Oban, (meaning "little bay" in Gaelic) with its perfect horseshoe shaped bay, is located in Argyll and Bute and is a resort town, not far from Fort William. On the must see list are the castles of Dunollie, Dunstaffinage and McCaig's Tower which can be seen from almost any vantage point in Oban. 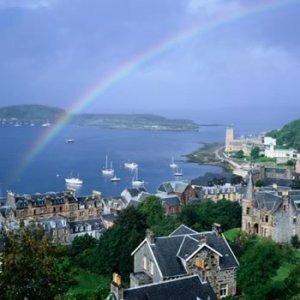 Oban is a popular tourist destination and among others, was used as a backdrop to the movie "Ring of Bright Water" taken from a wonderful autobiographical book by Gavin Maxwell about otters and a 1969 film, loosely based on the book, starring Bill Travers and Virginia McKenna. You can take the train from Glasgow to Oban. 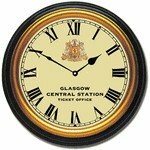 Again check times and ticket prices with First ScotRail. You can also take a bus from Glasgow's Buchanan Street Bus Station, or fly if you would prefer, as there is an airport at the village of North Connel, a stonesthrow from Oban. Fort William is the second largest town in Highlands, and is situated close to Glen Coe, Ben Nevis and Glenfinnan. Fort William takes its name from William of Orange. The actual fort was built during Oliver Cromwell's time to control the local people. After several name changes it was renamed again, this time after Prince William, the Duke of Cumberland, also known to the Scots people as Butcher Cumberland. Naturally several name changes have been proposed again since its last renaming, such as Invernevis, but so far have come to naught. Fort William regularly hosts the UCI Mountain Bike World Cup. 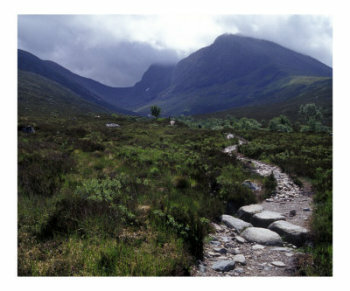 It is also the end point of the West Highland Way (95 miles from Glasgow) a beautiful walking footpath through the Scottish Highlands. Again Fort William is accessible by rail over some captivating scenery. However you get there, you will thoroughly enjoy the ride! Again visit Edinburgh, St. Andrews, Glasgow, but now you have time to see Loch Lomond, Oban, Glencoe and Fort William as well as the ethereal Isle of Skye. 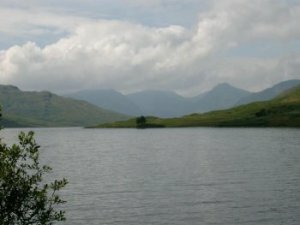 Loch Lomond has been written and sung about as many times as any lake in history and for good reason. It is a freshwater lake, second in size to Loch Ness, and is 24 miles long with a maximum depth of 630 feet. It is now part of the Loch Lomond and Trossachs National Park, and the West Highland Way runs along its eastern bank. Ben Lomond, the 3195 foot high mountain is on the eastern shore. Glencoe is the site of the storied massacre of the MacDonalds by the Campbells, and it is as brooding and quite lovely in its dark way as anything the imagination could conjure up. 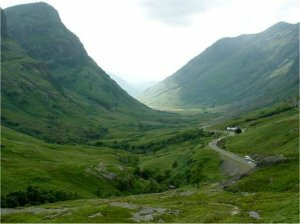 Glencoe Village occupies an area of the glen called Carnoch and has many very pleasant bed and breakfast establishments and includes the popular Clachaig Inn. It has lots of cottages, chalets and lodges, all self-catering and is a very popular destination for holiday-makers. For more information about the Isle of Skye see our Isle of Skye Page. 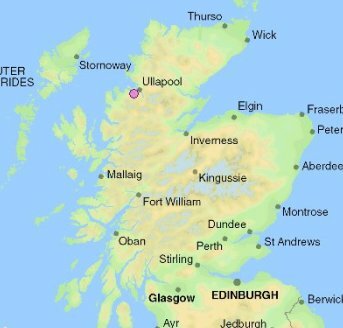 The places mentioned in the two week itinerary, but this time you can add Ullapool, the Outer Hebrides, Shetland Isles, Orkney, Inverness, Aberdeen (the Granite City) and the magnificent Cairngorm Mountains. Ullapool is a small town on the edge of Loch Broom. Dating from 1788, it was founded as a fishing port, and the catch was usually herring. 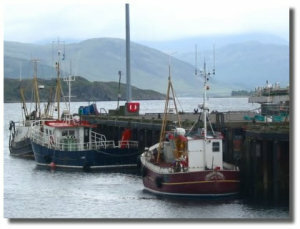 From here you can take a ferry to Stornaway in the Outer Hebrides. Ullapool is fairly isolated geographically but it is a lively place, and is a centre for musical events such as the Loopallu music festival which attracts many big names in Scottish music. In 2007 Franz Ferdinand was featured along with other popular bands, and is pretty well sold out for 2008 already. A lot of these events are held at the Ceilidh Place, and this has a regular program of music, dance and theatrical performances, sometimes including performers from the Edinburgh Fringe Festival. Established in 2002, the Cairngorms National Park is the largest national park in the UK covering 1467 square and spectacular miles. Stretching from Grantown-on-Spey to the Angus Glens it contains twenty five per cent of Britain's threatened species, including among others the golden eagle, red deer, pine martens, capercaille(a kind of grouse) and the rarely seen wildcat. The Cairngorm itself is a mountain overlooking Strathspey and the town of Aviemore. Cairn Gorm (meaning Blue Cairn) overlooks Loch Avon (pronounced A'an)and is 4081 feet high and one of ten highest summits in the United Kingdom. The highest peak in the Cairngorms Range is actually Ben Macdui at 4300 feet. 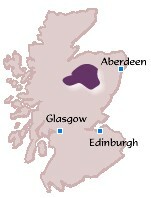 For more details about the Cairngorms and the National Park go to their website at www.cairngorms.co.uk. This is Scotland at its most wild and lovely..
Aberdeen is well worth a visit. Otherwise known as the Granite City because the old city was largely built from the grey granite quarried from the local Rubislaw quarry..this granite was also used to build the terraces of the Houses of Parliament and the Waterloo Bridge in London. It sparkles in the sun and gives the city an entrancing appearance. Although quarrying has stopped, Aberdeen is the centre for most of the activity surrounding the North Sea Oil industry and has one of the busiest (and second largest) heliports in the world. It is also a major shopping centre (third in the nation). Old Aberdeen is at the mouth of the River Don and New Aberdeen is on the Dee estuary. Aberdeen has been a settlement for humans for at least 8000 years, and was once a quiet little fishing town with paper, shipbuilding and textile industries, before the discovery of North Sea Oil. 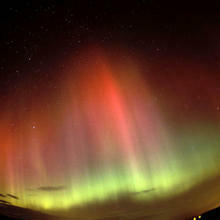 Aberdeen always brings to my mind the song about "The Northern Lights of Old Aberdeen", which is a reference to the Aurora Borealis which are visible from this northern city at certain times of the year, usually around October. In addition to these places just mentioned, one month should allow time to also visit the Orkney Islands and the more remote Shetland Islands and also the Outer Hebrides. The islands have so much to recommend them.